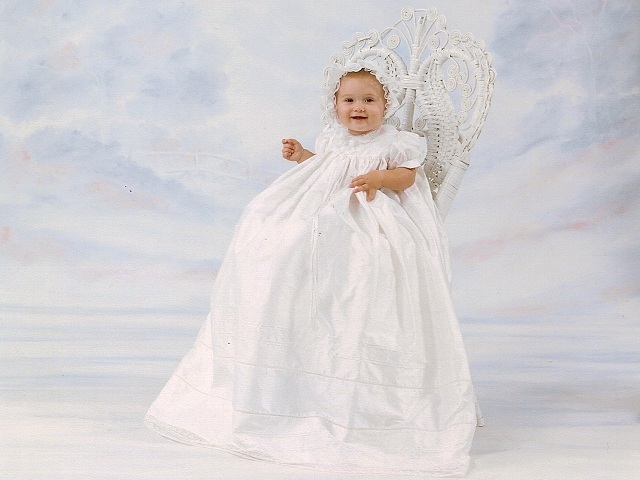 Marianne created our first daughter's Christening gown and will be creating our second daughter's gown soon! The end result was an absolutely beautiful, custom heirloom that exceeded all expectations. Marianne worked closely with me to translate a specific vision into reality. 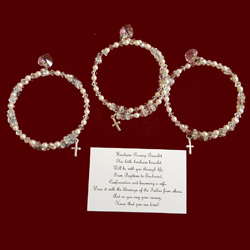 She was lovely to work with and went out of her way to deliver a one-of-a-kind creation. I highly recommend Marianne! 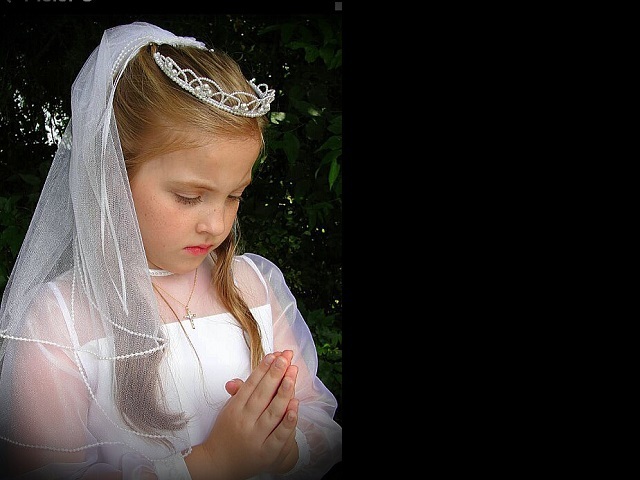 Irish Linen Communion Dress With Embroidered Hail Mary & Cross With Trinity and Shamrocks. 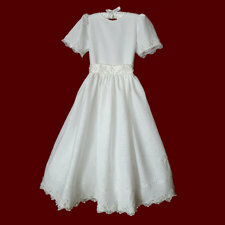 Irish Organza With Crosses Communion Dress. 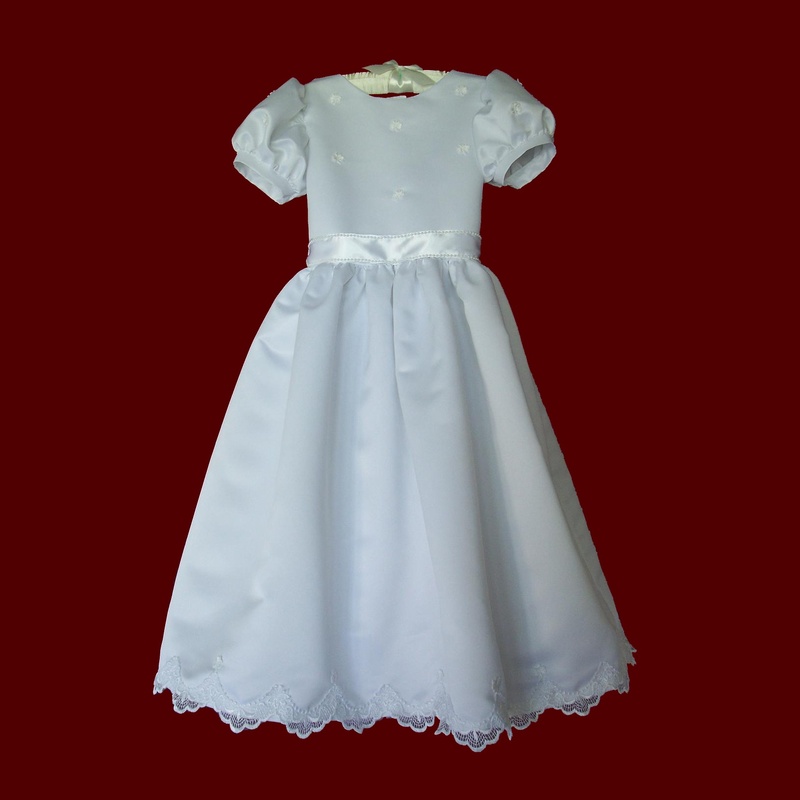 Irish Peau de Soie Communion Dress. 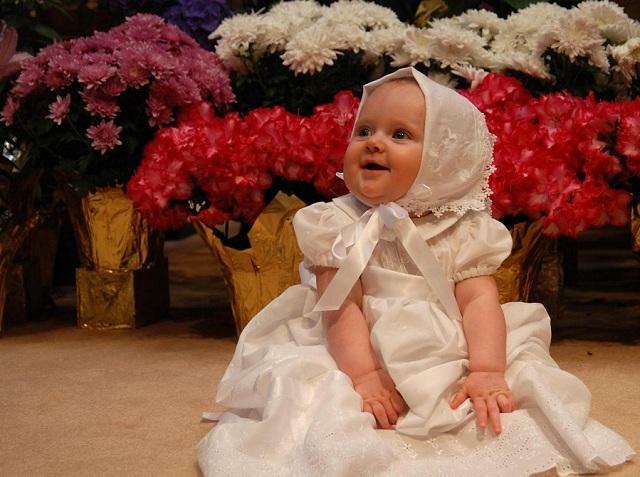 Peau de Soie With Organza Skirt Communion Dress & Optional Shamrocks. 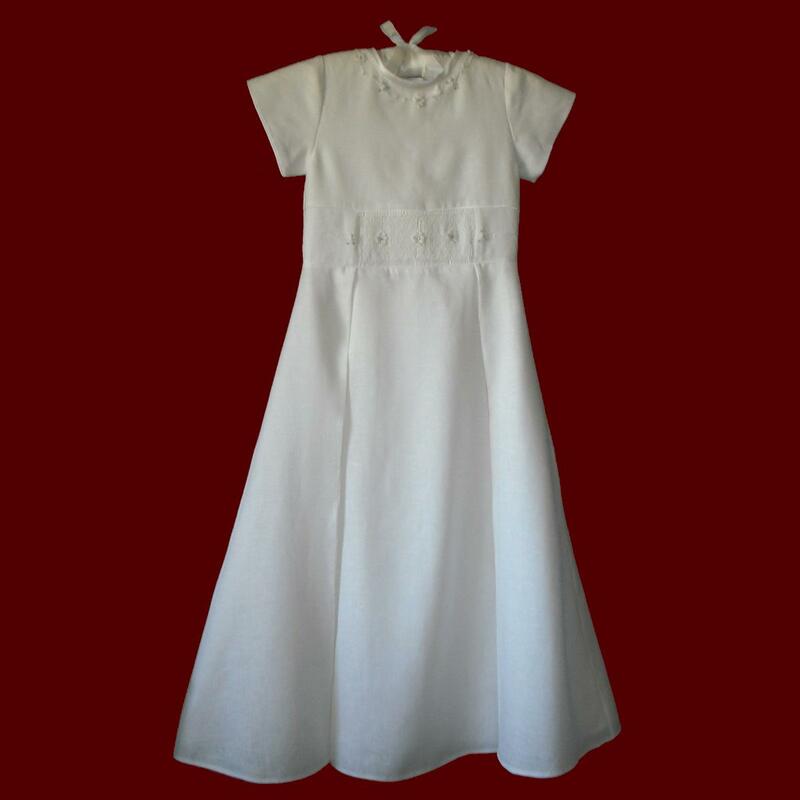 Irish Linen Hand Embroidered Communion Dress. 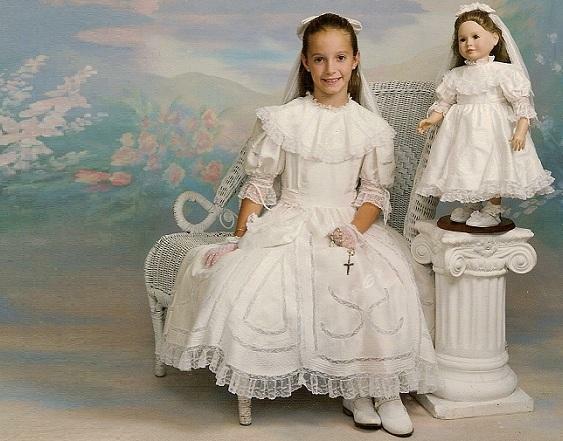 Embroidered Hail Mary Satin & Organza Communion Dress With Cross & Heart Lace. Hail Mary Embroidered Prayer With Crosses Communion Dress. Irish Linen Hand Smocked Communion Dress With Swarovski Crystals. Irish Communion Dress With Embroidered Trinity Knots. 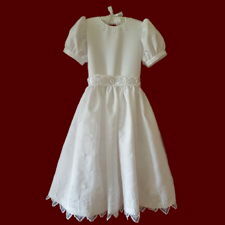 Embroidered Crosses Irish Girls Communion Dress. 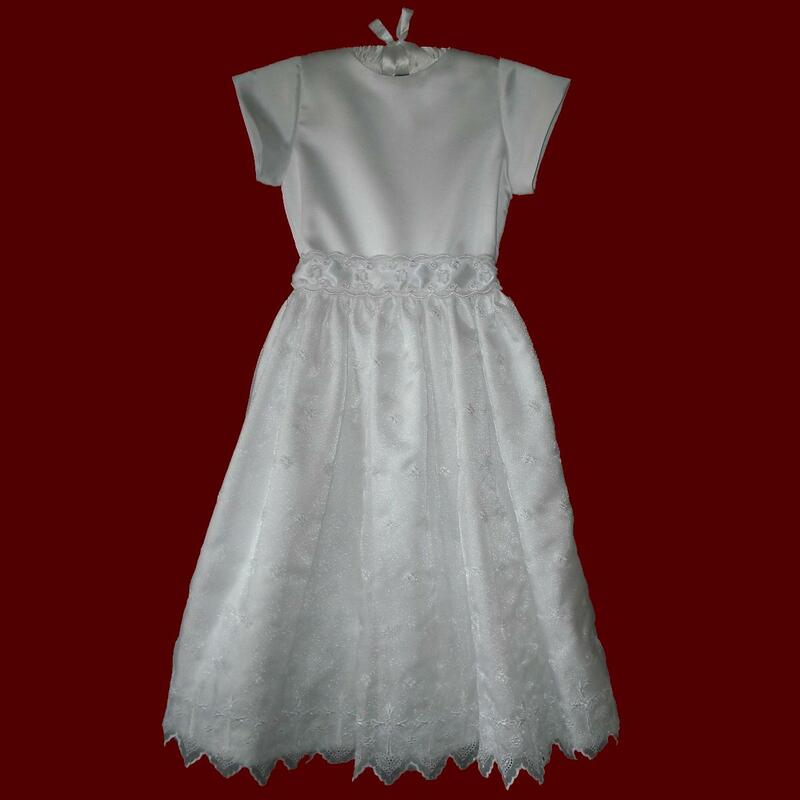 Organza Communion Dress With Portrait Collar. 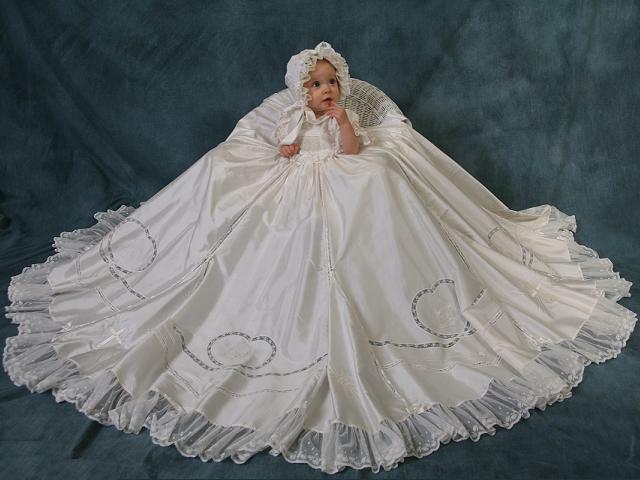 Communion Dress From Your Wedding Gown.